Pedal power is a great, inter-active demonstration of power generation and consumption. 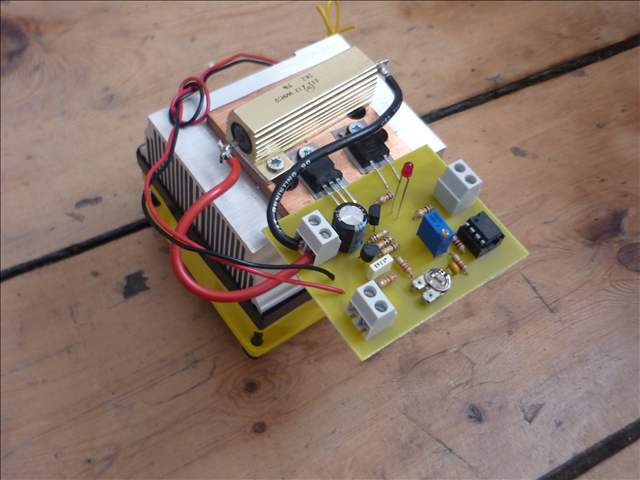 Building your own pedal generator is also an amazing learning experience. There are a number of plans and designs around for the generator and stand (check out our own here), but information about the electrical systems is usually lacking. Here is a full design for a shunt regulator for pedal power systems. A PCB, kit of parts and a fully built circuit will be available.